Are you looking to Sell Your Loading Shovel digger or excavator? Do you have a loading shovel digger or excavator for sale? 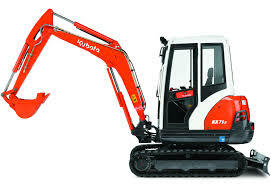 Why not sell your loading shovel excavator or digger to Sell My Digger? As long time specialists in loading shovel excavator sales, we can guarantee you fast quotes and cash paid for your machinery if you come to us. 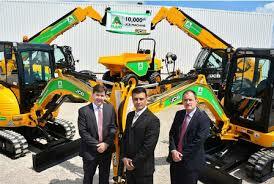 Sell My Digger are leading buyers and dealers of diggers and excavators. Loading shovels are great excavators for a range of different projects including block or material handling, quarrying, recycling and general building and construction. Loading shovel excavators have been around for years, with many of the big name construction machinery producers such as JCB, Volvo manufacturing these excavators since the 1950s. There are many types of loading shovels to suit the specific applications you require, with a number of versatile attachments, features and specifications depending on the purpose you have for it. Loading shovels and their various attachments can be attached to most front loaders in order to assist you on whatever construction project you are working on. So if you have a loading shovel excavator for sale and you’re wondering what to do next, be sure to get in touch with us today. Feel free to call us for more information or simply take a couple of minutes to fill out our online form, letting us know a little bit more about the machinery you’re looking to sell. Once you’ve done that, you can sit back and relax as our team will review your information to come up with a fair cash quote for you. Quotes are offered usually within 48 hours and there’s no obligation, so you don’t really have anything to lose.